A rare first edition of the Encyclopaedia Britannica has been published online to mark its 250th anniversary. The first pages of Britannica were published in Edinburgh on December 10 1768, and few intact copies remain. Subscribers were scandalised by engravings in the article on midwifery, and King George III is said to have commanded that the pages be ripped from every copy. The National Library of Scotland has a complete first edition in its collections which it has made available online for all to view, thanks to a successful fundraising campaign to have it digitised. The Library’s Lucy Clement said: “Britannica holds a special place in people’s memories. “Many donors to our appeal have told us how, in childhood, it piqued their curiosity about the world around them and helped with their homework in the days before Google. 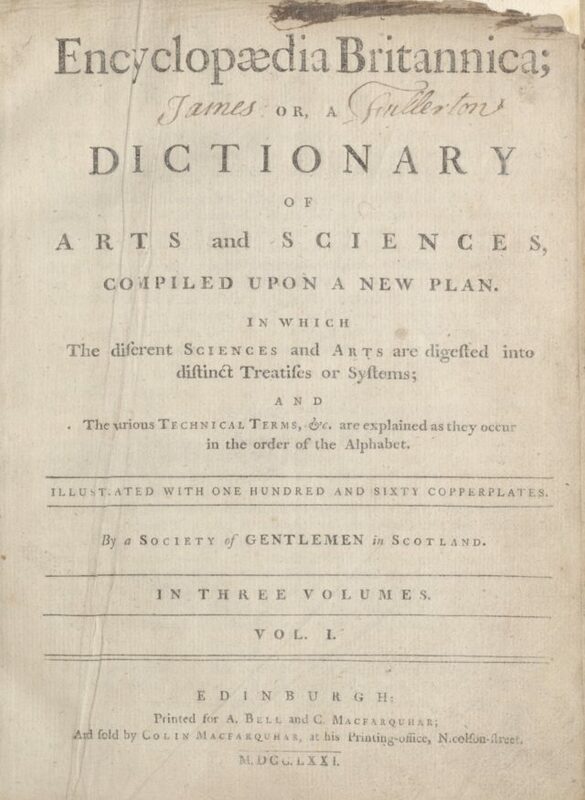 The first edition of Encyclopaedia Britannica was undertaken by three young men in Edinburgh – compiler William Smellie, engraver Andrew Bell and printer Colin Macfarquhar. – Humans were divided into five categories: European, American, Asiatic, African and Monstrous. – The solar system had six planets (Uranus, Neptune and Pluto were yet to be discovered). Rare books curator Robert Betteridge said: “Britannica became viewed as an authoritative source of facts about the world. “Its first editor believed strongly in the democratisation of knowledge – that it should be accessible to all who sought self-improvement, regardless of background.